In co-operation with KulturKontakt Austria, the Austrian Federal Chancellery makes available 50 residencies in Austria (Vienna and Salzburg) for the year 2019. Foreign artists can apply for this grant programme electronically via the www.artists-in-residence-austria.at platform. During their stay in Salzburg, the artists in residence will be taken care of by Kunstverein Salzburg. Residencies in Salzburg are only available for artists from the fields of the visual arts, artistic photography and media art. There is the possibility of participating actively in the Artists-in-Residence-go-to-School-Programme of KulturKontakt Austria (the programme includes workshops at Austrian schools). When submitting an application, applicants agree to parts of their application file (CV and examples of work) being forwarded to third parties for the purpose of organising exhibitions, readings, concerts, lectures etc. You are urgently requested to heed the sector-specific information on the following pages! 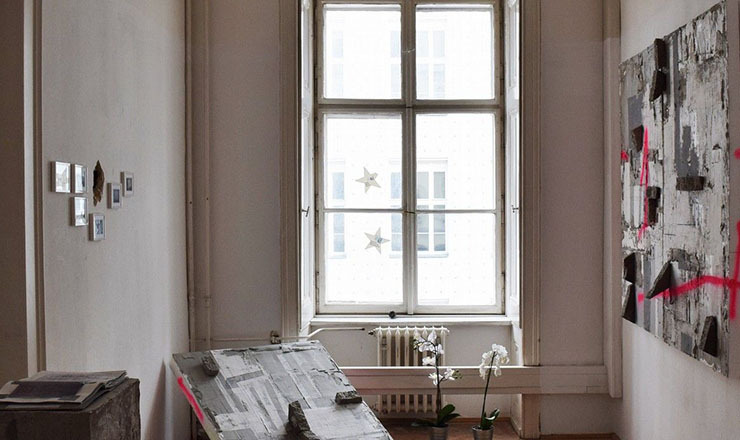 · Residencies are provided in Vienna (all disciplines) or Salzburg (only visual arts, photography, media arts). While requests for a specific place will be fulfilled subject to availability, this cannot be guaranteed. · Accommodation subject to availability, either in an apartment at the Schloss Laudon Parkdependance (14th district), a room in a flat in Vienna’s 3rd or 9th district or an apartment at Salzburger Kunstverein in the City of Salzburg. · The assignment of accommodation in Vienna is made by the residency provider. Unfortunately, individual preferences cannot be taken into account. · Use of a community studio in Vienna’s 2nd district, at Schloss Laudon or at the Salzburger Kunstverein. · Contribution to cost of living expenses of € 800 per month. In case of absence exceeding 7 days, a pro-rata share of cost-of-living expenses will be paid. · One-time contribution to art supplies of € 300 for visual artists and composers. · The costs of translation for one sample text (no more than 10 pages at 1800 characters each) from a foreign language into German for writers. · Travel expenses as well as visa fees will not be paid nor refunded. · Accident and health insurance will be provided; insurance cover excludes chronic disease and dental work. · Each accommodation is provided with WLAN. Notebooks will not be provided. · For the duration of the stay, a cell-phone with a one-time prepaid credit in the amount of € 40 will be made available to the residents. · Residents will also receive monthly passes for public transport in Vienna or Salzburg for the duration of their stay. · Regular cleaning service for the living quarters and change of bed-linen and towels will be provided weekly or monthly, according to the place. · A presentation of works may be arranged towards the end of the residency (subject to confirmation). · No financial support can be provided for the production of catalogues, translations, book releases and performances. · Residents may not bring other people (family members, friends, acquaintances etc.) or pets to the residency. Only residents may spend the night at the accommodation. · Neither the community studios nor the apartments are equipped for the needs of disabled. · Compliance with the house rules of the residency is of the utmost importance.